Americans have become quite adept at making use of their aerosol containers. Loosening a chain on a bike, keeping foods from sticking to pans and touching up paint are just a few of the ways that we put aerosols to use in our homes. Yet, when it comes to end-of-life disposal of the container, many consumers fall deficient on reaching the true potential of steel aerosol containers. Fact is, steel aerosol containers are every bit as recyclable as the steel food cans millions of consumers routinely put in their recycling bins. Yet, many steel aerosol containers are not finding their way to the recycling bins. In some cases, this is because of dated misconceptions, but in a large number of cases, it’s just a simple disconnect about the package’s recyclability. To help bridge that disconnect, many steel aerosol cans now have a “please recycle when empty” logo to help consumers learn how to properly recycle them. But, local recycling programs, looking to maximize the diversion of recyclables from landfills also need to better inform consumers that steel aerosol containers are easily recyclable once empty through normal use. According to the Steel Recycling Institute’s National Recycling Database, there are over 15,000 locations that accept steel cans but only a third of those actively publicizes their approval of aerosol cans. The truth is, the process of separating steel cans from other materials often ends up including aerosols, too, whether they state it or not. When materials in curbside recycling bins are picked up and taken away, the first thing that happens is they go to a material recovery facility (MRF). At the MRF, recyclables are loaded on a sorting line. Aerosols, like all steel products, are magnetically attracted. Virtually all MRF’s have magnetic belts which they use to automatically separate steel recyclables. This magnetic belt pulls the steel products out of the line and directs them into a different bin. When aerosol cans are included, they are picked up right along with food steel cans and baled together to go off to the steel mill for recycling. Because of this, aerosols may be added to the publicized list of accepted materials very easily without additional steps from community programs. Virtually all processing mills already have aerosol cans in the mix, whether they’re formally included or not; they show up because consumers are putting them in curbside or drop-off bins. There are many more products that are appropriately labeled now, as they present themselves in the curbside or drop-off collection boxes they are in the stream and not called out or rejected, they move on. Some program managers for curbside or drop-off programs are uncertain as to whether steel aerosol should be included with other steel cans; the fear is they may not be entirely empty. 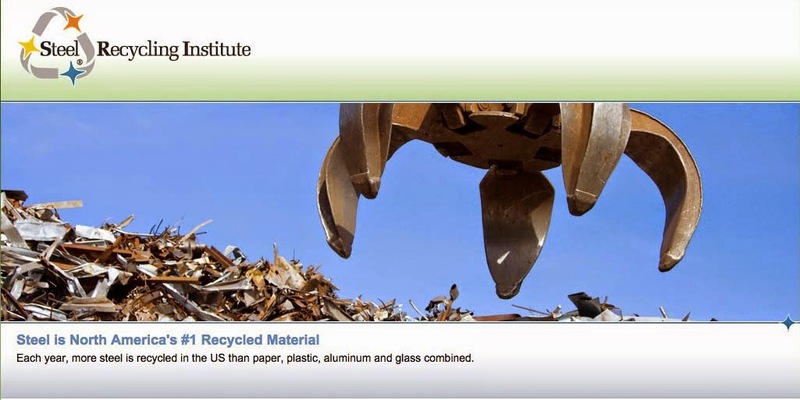 For questions related to the recycling of your steel aerosol cans, contact the Steel Recycling Institute via its website at http://recycle-steel.org. Good read. People need to know more about what can and what can't be recycled. It is good that there are places where an aerosol cans are accepted for recycling. "If you can't use the aerosol-give to a friend or neighbor"- what a great advice! It helps a lot of the recycling process, if the can is empty.